Nasser bin Khaled (NBK) Automobiles, the authorised general distributor of Mercedes-Benz in Qatar, has held a private screening of the superhero film Justice League. The special screening took place at Novo Cinema in The Pearl-Qatar and was attended by guests, valued clients of Mercedes-Benz in Qatar and media representatives. The screening is in line with NBK Automobiles’ “commitment towards the local community” to give them a chance to watch a blockbuster’s premiere in Qatar and promote the Mercedes-Benz vehicles that join the league alongside the superheroes, according to a press statement. Viewers can see the new E-Class Cabriolet, the Mercedes-Benz AMG Vision Gran Turismo and the G-Class 4x42. We hope all people enjoy the movie and the exceptional vehicles of Mercedes-Benz that takes the film into the next level - Sheikh Faleh bin Nawaf al-Thani, operations director – Auto at NBK Holding. 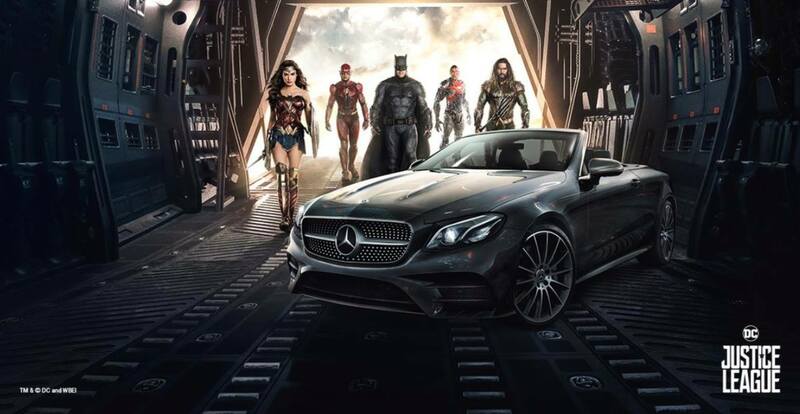 Mercedes-Benz vehicles join the League alongside Batman, Wonder Woman, Aquaman, Cyborg and The Flash as they race to save the planet from an alien assault of catastrophic proportions. Accompanying DC’s most iconic heroes on the big screen, the new E-Class Cabriolet, the Mercedes-Benz AMG Vision Gran Turismo with its new interior developed for this film, and the G-Class 4x42 play an integral role in this epic action adventure, the statement notes. The Mercedes-Benz E-Class Cabriolet premiers on the silver screen as the vehicle driven by Diana Prince. Better known to the world through her superhero identity, Wonder Woman, Diana takes the E-Cabrio for a ride on a mission to speak with Victor Stone, aka Cyborg. An additional automotive highlight in the film is the appearance of the Mercedes-Benz AMG Vision Gran Turismo as Bruce Wayne’s vehicle of choice when he drops in on Barry Allen, aka The Flash, to recruit him into the League. Initially revealed to the public in 2013, the Mercedes-Benz Design team has developed for the Mercedes-Benz AMG Vision Gran Turismo a fully fleshed-out interior with illuminated elements, racing seats and a virtual dashboard section for Justice League production purposes. Filming required the whole vehicle to be enlarged to 110% compared to its predecessor, in order to accommodate seating the film’s over 1.90m tall Bruce Wayne while maintaining its sleek-looking low roofline.